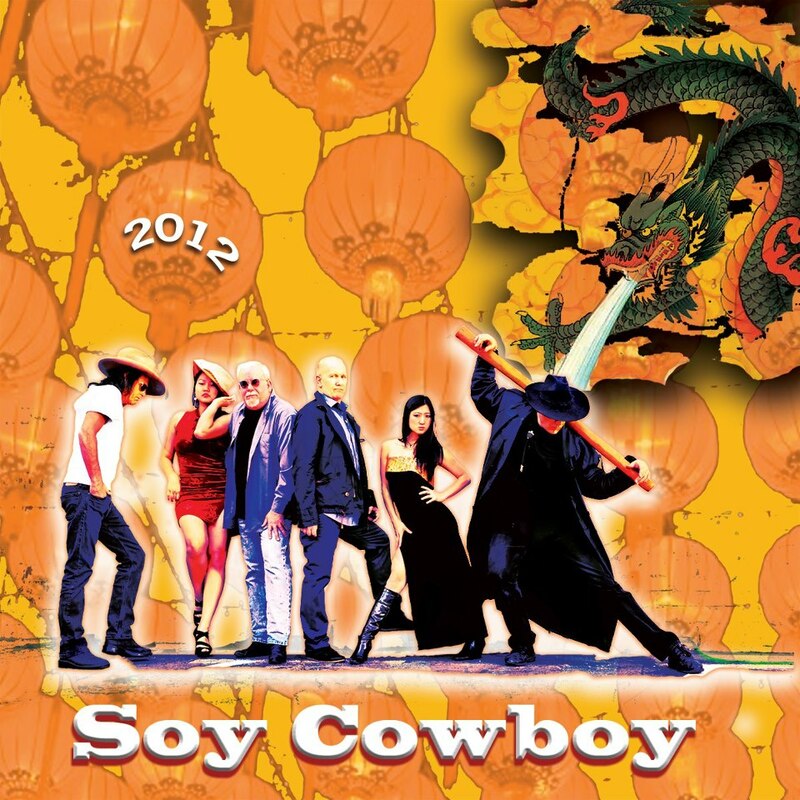 Back in the early 1990s, long before the Cambodian & American band Dengue Fever became popular, there was Soy Cowboy. The band’s name riffs on the red light district Soi Cowboy in Bangkok, but also on the fact that it had alt/country western music seasoned with Thai singers doing country Isan music from Thailand. The band got moderate airplay on U.S. radio, but in England briefly jumped to the top of the charts. The Brits always love something unusual. Soy Cowboy made its radio debut on Morning Becomes Eclectic in 1987, back when I was at the helm. And now, years later, Soy Cowboy has put out its sophomore release, this time with Chinese singers who leaven the music mix with Mandarin. Standouts include “Magic Unbrella” a love story based upon a gallant offering a woman his umbrella during a downpour (happy ending too), and “Music Makes Me Well” a song of affirmation and hope. “Facebook” friend is a topical song on the more farcical aspects of Facebook. It’s a fun album and certainly different from a lot of other alternative music coming out. It’s also high time this talented group release another album. It’s available on both CD Baby and Itunes.